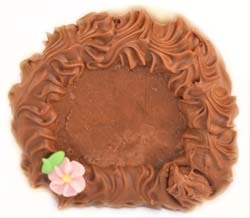 Dorothy's chocolate fudge egg is a perennial customer favorite. We make our luscious fudgy center by hand and then wrap it in our famed, creamy Swiss chocolate. Maybe you better order two! From Fredda Lois Loafmann of Wildwood, Missouri on 4/6/2018 .